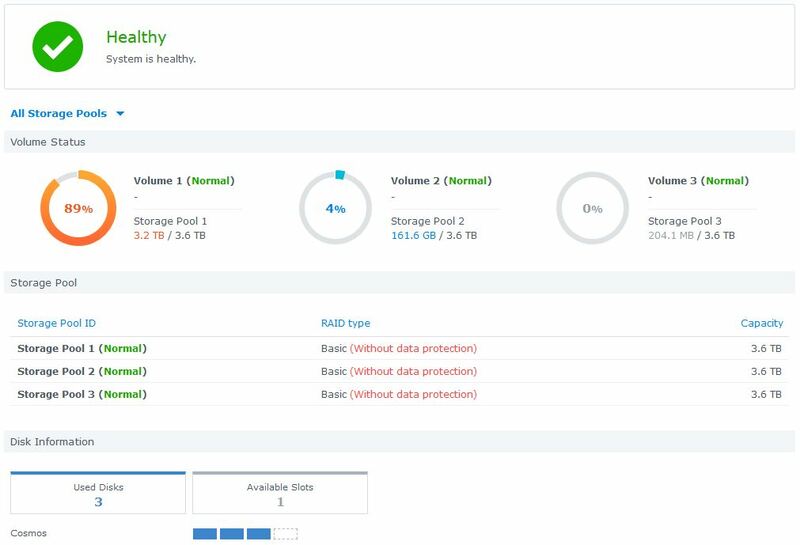 I didn't pay attention, it was working on my previous emby windows version so I assumed that it was working also on the synology, but I was wrong. After removing all special characters everything is working fine finally! Thank to everyone for their help. 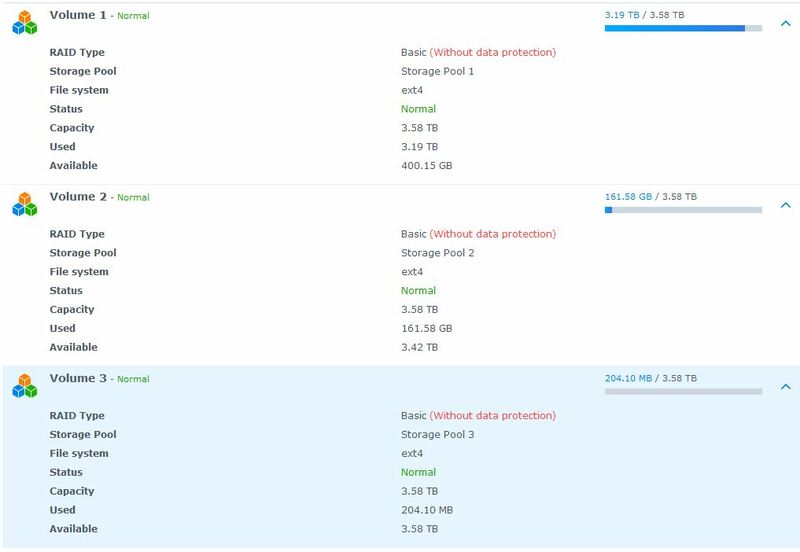 Before, I was using Emby with 1 disk installed on 1 storage pool and 1 volume (SHR). After setting up all my librairies, I did a backup with the emby plugin. 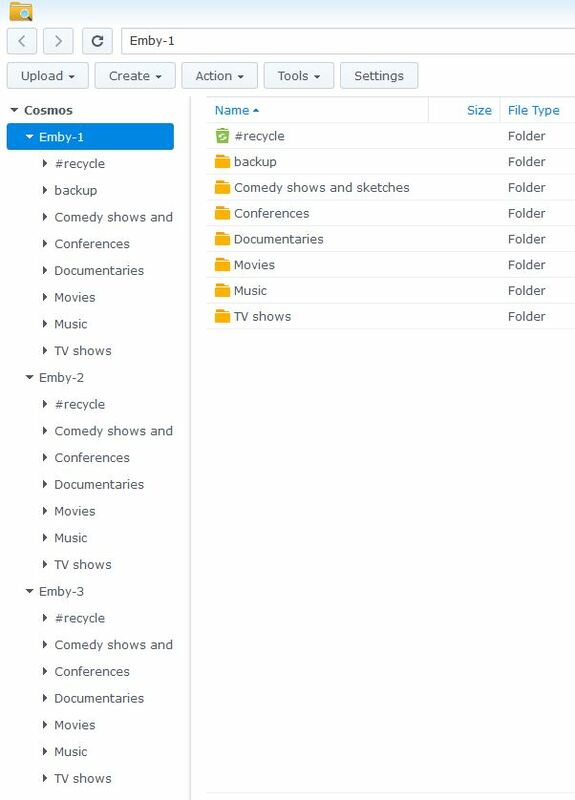 I did a fresh install of Emby after removing/swapping the disk where Emby package was installed at the first place. Finally I loaded the backup previously done. I created 3 shared folders, one on each volume. 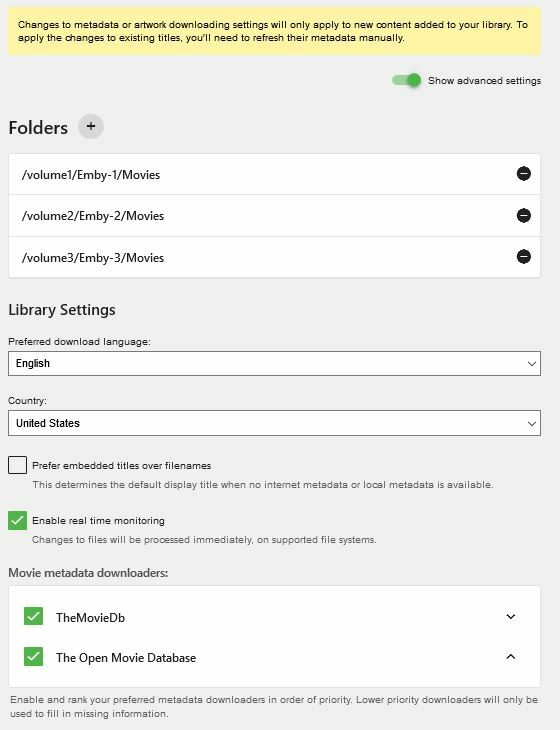 With read/write authorizations for embysvr package. 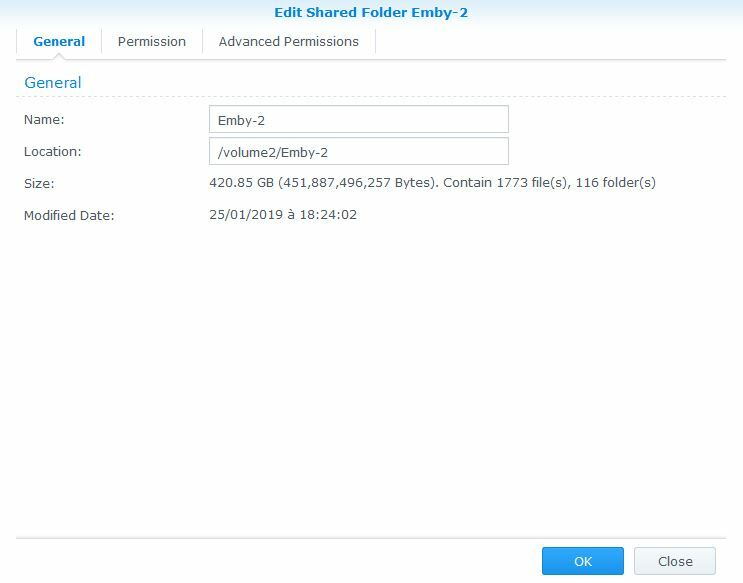 I did other libraries, and same problem, emby is getting only files from the second volume, from Emby-2 shared folder. I'm sorry for the size of the log attached, I think it's because I activated the debug function..
System.UnauthorizedAccessException: System.UnauthorizedAccessException: Access to the path "/volume2/Emby-2" is denied. I don't understand, every settings are the same for the three shared folders. Regarding this error, it's even strangers because emby is synchronizing only the files inside "/volume2/Emby-2". @solabc16 any advice on this? Thanks. 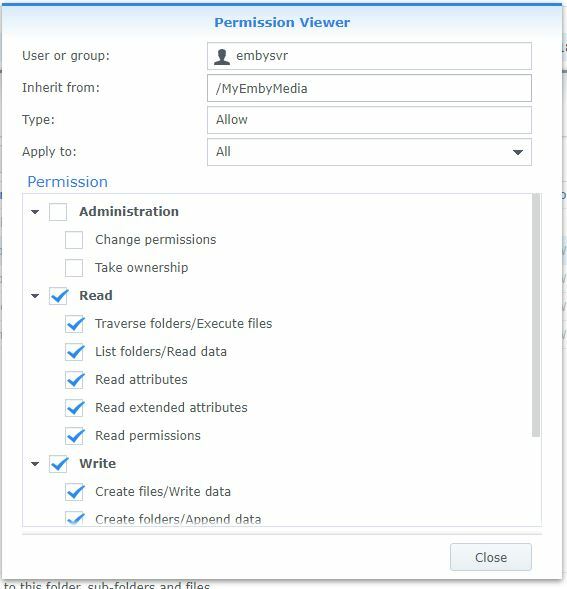 As a sanity check can you show the permissions when right clicking on the folder from File Station and post a screenshot here. 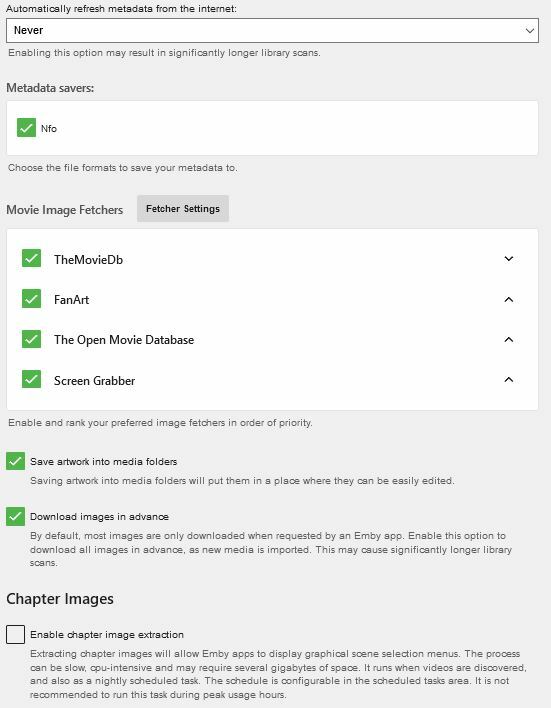 Same for the other folders, I checked that sub-folder have the same permissions. 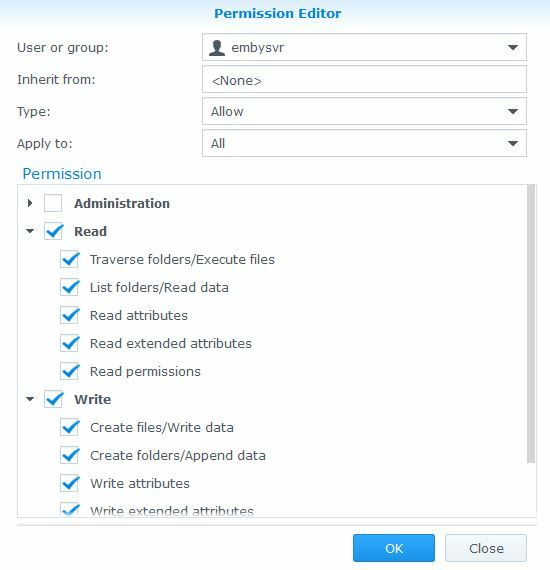 What do you have under Permissions & Advanced Permissions - have you tried resetting the permissions recursively? Everything is fine except for "Inherit from" field which is empty. 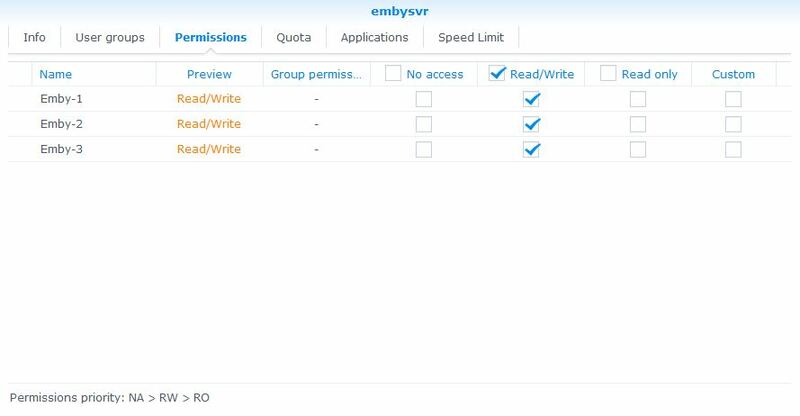 I try to attribute administrator user group to embysvr, nothing change. I'm moving some movies from Emby-1 to Emby-3, and everything inside Emby-3 is recognizing by Emby. Looks like the problem is for volume 1. Yes it appears that way, thanks. Edited by maxcol, 27 January 2019 - 06:35 AM. Indeed, thanks for the update @maxcol - I've made a note to follow this up, as it doesn't quite add up and the exception being returned is unexpectedly misleading. @maxcol can you give an example? Thanks. a name of one file? Can you please go over the complete folder structure for that? Thanks.